For some artists, all they need is that one break to vault them to superstar–level success. We're here to help make that happen. Technological powerhouse Intel® is back, teaming up with OurStage for a new edition of the Intel “Superstars” Competition. Joining us this time around are some top-shelf sponsors including Blue Microphones, Creative Labs, Gibson Brands Inc, HMDX Audio, Orange Music Electronics Co. Ltd, Sonos, and V-MODA, all contributing to some pretty spectacular prize packages. And one grand prize winner will take home a career-changing $10,000, courtesy of Intel. As in previous years, we're looking for the best of the best from across a diverse field of genres, including: Rock, Pop, Country, Latin, Singer-Songwriter, Hip-Hop & Rap, Electronic, and R&B. Beginning on August 1, 2013, artists can upload their songs in the following channels: Rock, Pop, Latin, and R&B. Fan judging for Round 1 begins on August 15th. On September 22, 2013, a new round will begin for four new channels: Country, Singer-Songwriter, Hip-Hop & Rap, and Electronic. Fan judging for Round 2 begins on October 7th. Enter your original track that best represents your superstar potential into the appropriate channel. If your music crosses genres, you may enter multiple songs into multiple channels – but remember, you can only enter ONE unique song per channel. The #1 ranked artist in each channel will be awarded a home studio package – everything you need to start taking your music and career into your own hands. The Top 20 from each channel will be entered into a final round, which will determine the overall Top 20. From those finalists, the grand prize winner will be selected by a panel of judges. Artist must be eighteen (18) years of age or older at the time of entry and must reside within the United States. An artist may submit only one (1) unique track into each of the Intel® "Superstars" 2013 Competition Channels. 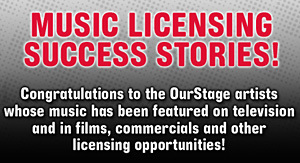 If an artist submits the same song into multiple Intel® "Superstars" 2013 Competition Channels, OurStage will remove the song from the genres deemed inappropriate. All entries must be acceptable for radio airplay with clean lyrics. Entries must contain vocals, but should not consist solely of vocals. Entries must be accompanied by musical instruments.